The Villas of San Marino at Emerald Greens. The project development included the complete demolition and redevelopment of the existing County Club “core” area. This core area included the expansion of the main entry to the County Club, the expansion of the main infrastructure, modifications and redesign of the existing core area access roads, the redesign and expansion of the Clubhouse from its previous configuration, the “redevelopment” and restructuring of the Golf Club “core” area, consisting of a new pool area, with a water park venue for children, a spa building complete with Grille, new tennis courts and tennis clubhouse and the development of 56 townhouse units (4 units per building). The Villas of San Marino at Emerald Greens had numerous challenges associated with its development. The Master Planning did not only need preliminary approval from the governing authorities but also needed approval of the Home Owner’s Association. The project development was limited by the confines of the main entry at the north end of the “core” area and the limitations also established by the surrounding golf course. The main infrastructure had to be expanded and existing roads modified to fit the Master Plan. The first phase of the project was the demolition of the existing Golf Clubhouse, with the exception of the first floor slab and basement cart storage areas. 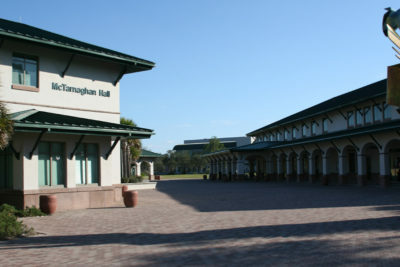 The Clubhouse was redesigned and expanded from its previous configuration. 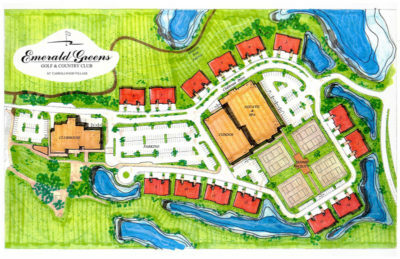 Concurrent with this redesign and reconstruction of the Clubhouse was the “redevelopment” and restructuring of the Golf Club “core” area, consisting of the existing pool, tennis courts and tennis clubhouse. 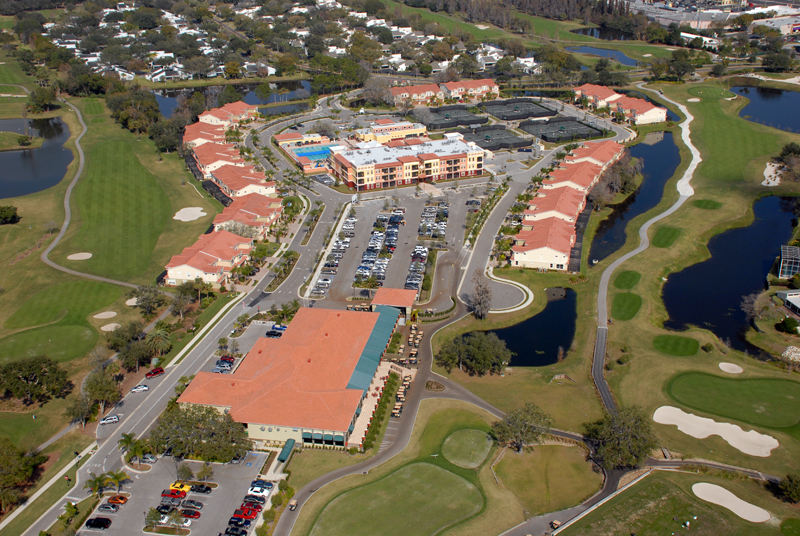 The balance of all the core functions were demolished and redeveloped as part of the Master Plan for the Country Club. 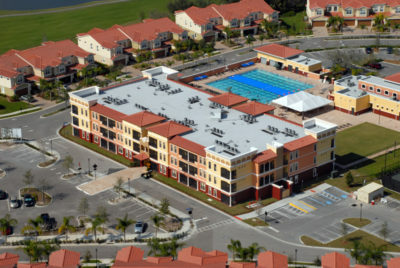 A new pool area, with a water park venue for children, a spa building complete with Grille, new tennis courts and tennis clubhouse were all redeveloped within the core. 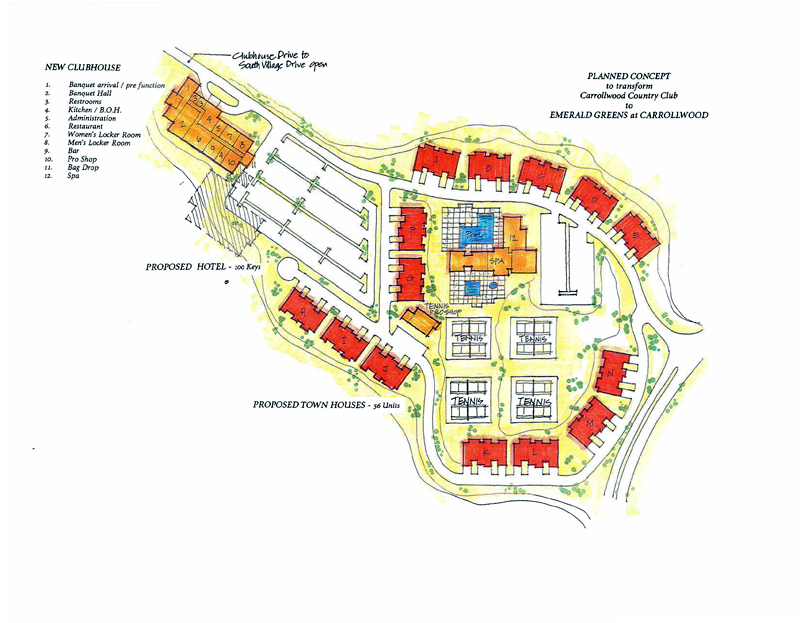 Surrounding the core was the development of 56 townhouse units (4 units per building). The early site plan sketches provide a graphic representation of the initial Master Planning studies. 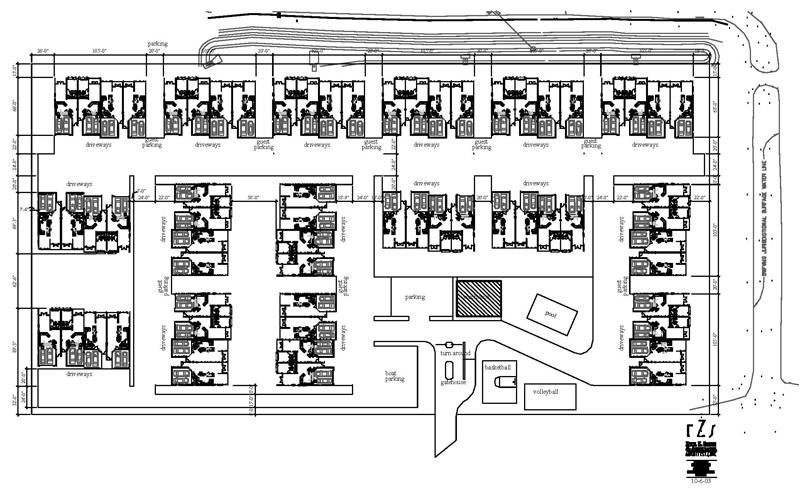 The photograph is indicative of the final and completed master planning of the site. The aerial photograph depicts how dense and tight the constraints of the site were.